Well presented three bedroom terraced home situated in the central location of Peverell with excellent access to the A38, public transport routes, Central Park and local schools. 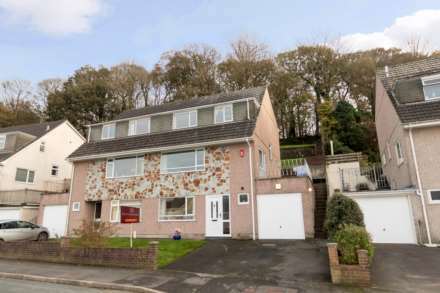 The property offers bright and spacious living accommodation comprising, entrance hall, lounge, open plan kitchen/dining room, useful utility/storage area, three bedrooms and modern bathroom. The property also benefits from an enclosed low maintenance rear garden, double glazing and gas central heating. Stripped wood flooring, radiator, feature working period fire with decorative surround, feature bay window to front aspect, ceiling mounted light point. Wood effect flooring, range of wall and base units with complimentary worksurfaces over with tiled splashbacks. Integral sink drainer unit with mixer tap and tiled splashbacks. Space and plumbing for washing machine, fridge, freezer and cooker, double glazed window overlooking the rear garden. Ceiling mounted light point. Fantastic space for storing shoes coats and bikes. Wood panelling to half wall height. Frosted double glazed door to rear aspect. Frosted double glazed window to rear aspect. Radiator, double glazed bay window to front aspect, picture rail, ceiling mounted light point. Radiator. Window to rear aspect overlooking the rear garden, picture rail, ceiling mounted light point. Wood effect flooring, wall mounted chrome heated towel radiator, three piece modern bathroom suite comprising white panelled bath with shower over and shower screen, low flush wc, hand wash basin with mixer tap and fitted vanity unit under. Frosted double glazed window to rear aspect. Ceiling mounted light point.